NEW YORK (AP) -- An elf school in Iceland. A hospital for falcons in the Middle East. A museum in Independence, Missouri, for artwork made from hair. These are the types of attractions featured on the Atlas Obscura website, a fan favorite among curiosity-seeking travelers. Now the site is bringing its geeky and magical world of wonders to the printed page. 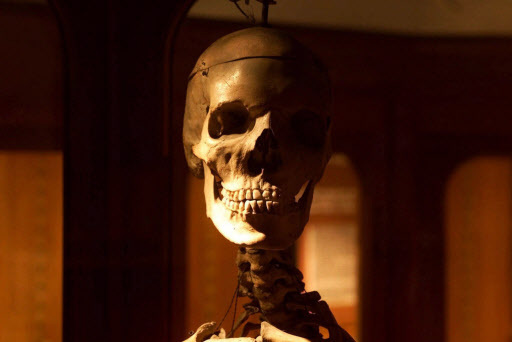 The new “Atlas Obscura” book offers a sampling of 700 of the website’s 10,000 curious attractions, from a pile of rocks in Butte, Montana, that makes bell-tone rings when struck with a hammer, to the skulls and body parts on display at Philadelphia’s Mutter Museum. AtlasObscura.com was launched in 2009. Today it has over 5 million unique visitors a month and 12 million page views, along with over 120,000 registered users. But it is not the type of travel site that features infinity pools, five-star hotels and tasting menus. Instead, you are more likely to find macabre historic landmarks, mysterious natural wonders or odd cultural phenomena, like a Swedish university’s collection of plaster-cast noses or Las Pozas park in Mexico, a subtropical garden filled with surrealist sculptures. Why take Atlas Obscura out of the virtual world and onto the printed page? “There is nothing like a book,” said Dylan Thuras, who founded the site with Joshua Foer. 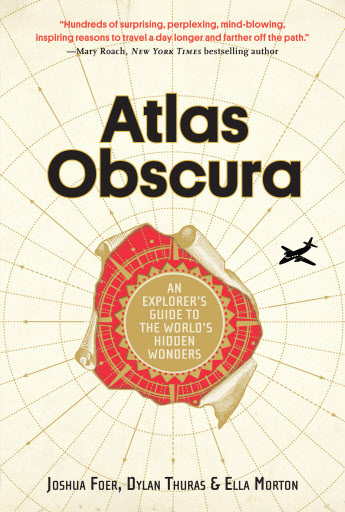 “It’s hard to explain to people exactly what Atlas Obscura is, so we just felt like it would be so nice to distill this into a beautiful, physical object and be able to hand it to someone. The company has a staff of 19 and is located in a former pencil factory in the Brooklyn, New York, neighborhood of Greenpoint, once known as a working-class Polish area but lately a trendy magnet for those in their 20s and 30s. Revenue comes from ads and sponsored content, but Atlas Obscura has also started organizing events and tours, partnering with tour guides and nonprofits. One such event offered a night of music at Green-Wood Cemetery, a sprawling 19th-century historic landmark in Brooklyn known for its landscaped grounds and ornate monuments. Atlas Obscura is also starting to offer international tours, starting with several small group trips to Cuba this fall. But the itineraries will not be the usual top 10 hotspots found on every other tour. “We’re going to Iceland in the winter, taking people to a plane wreck site on the rocks,” Thuras said.